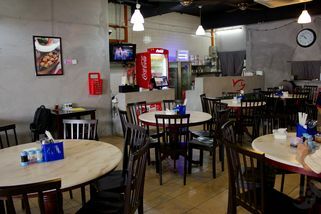 No 18, Jalan SS2/66, 47300 Petaling Jaya, Selangor. Part of the D'f.i.s.h. chain. Coming from Sprint Highway, turn into Damansara–Puchong Expressway (LDP) going towards PJ. Turn left after the Mobil station, and left again at the next turn into SS2/66. The shoplot is along SS2/66. 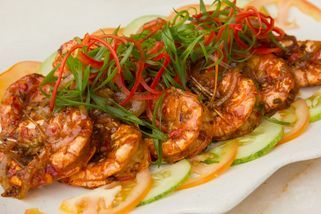 Authentic local cuisine that caters to everyone’s tastes; that is what D’f.i.s.h. is all about. 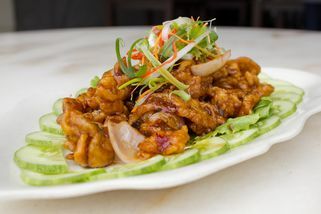 Halal Chinese cuisine combined with a touch of Malaysian style cooking, the menu at D’f.i.s.h. is certainly full with colorful varieties. As their logo and namesake suggests, do try their signature dish: D’Fish! 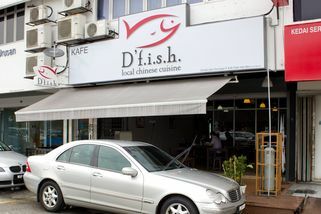 D’Fish is fresh Tilapia fish which you can have deep-fried or steamed, topped off with your choice of their zesty sauces. Not into seafood? No problem! 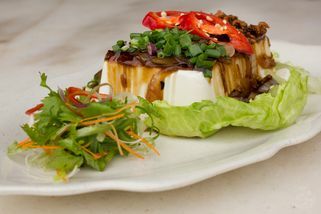 There are many other notable non-seafood dishes like Mamai Sauce Chicken, White Tofu and Special Eggplant. D’f.i.s.h. at SS2 is located in a shoplot along SS2/66, you can’t miss the signature little red fish logo! This outlet not only has the occasional promotion and set menus, they also have a few extra dishes that are only available at this outlet. 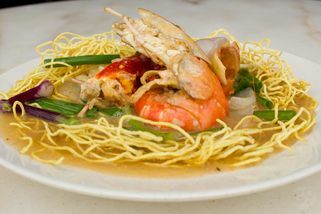 Their Freshwater Prawn Noodle, otherwise known by the dish’s Chinese name; Sang Har Mee and D’Fish Sauce Chicken are two examples of the dishes you will find only at the SS2 branch. "The fish fillet is a safe choice." I had the dry chilli fish fillet dish which was not bad - It came with the deep fried fish fillet pieces in a dry chilli sauce, a side of stir-fry vegetables and white rice. The sauce was not too overly sweet or salty although I recommend having a drink on standby should you need to wash it down - wasn't spicy at all though which was a bummer for me. The fish was cut into nice sized chunks and the amount of batter was just right. The veggies were kinda salty and to be honest, not really that interesting - I can't really remember them now. It was a reasonably priced dish at ~RM8 and I could definitely eat it again but I'd rather try something else on the menu. The food is nice and the price is affordable, would love to try their other new dishes again! 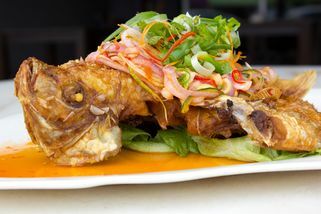 Assam deep fried tilapia fish, must try!